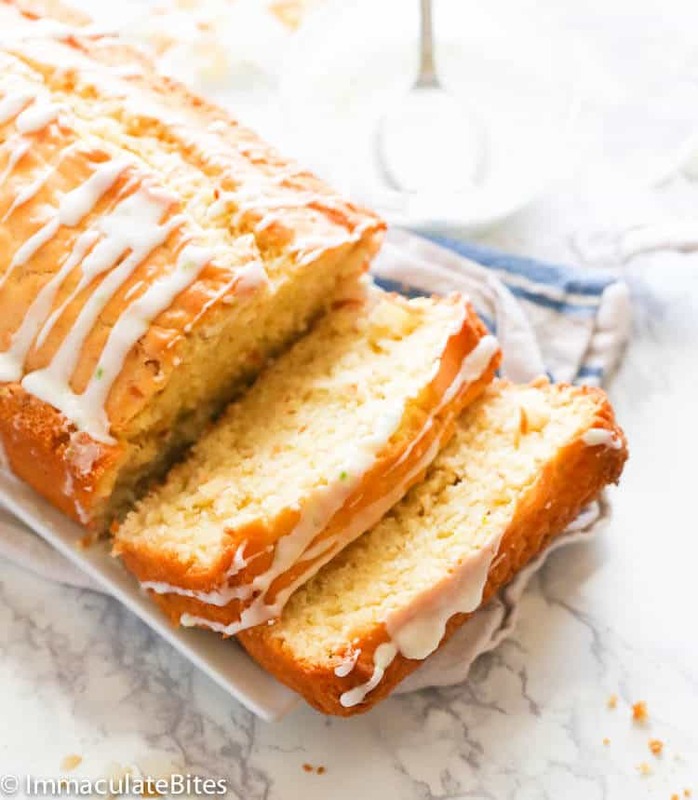 Coconut Bread – Super Easy and tasty bread loaded with coconut goodness from coconut milk, shredded coconut and coconut extract then topped with lime glaze for added citrusy sweetness. Perfect for breakfast or for afternoon snack time! No mixer required! I’ve been meaning to share this super easy and tasty baked treat for years, but it always end up in the back burner, but not today. This coconut bread here is one our family’s favorite and one of those I could make with eyes closed. No kidding! It doesn’t need any mixer and it’s pretty straight forward. 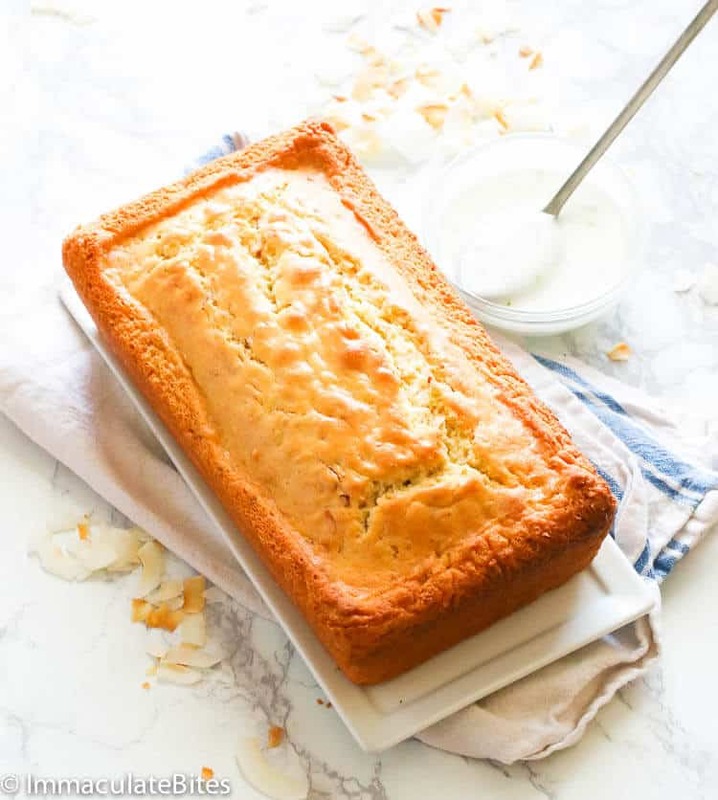 You just have to combine the wet and dry ingredients, throw in the toasted shredded coconut, pour the batter in the loaf pan and pop them in the oven. Waiting would be the hardest part of this recipe, that I can assure you, especially when you already smell the sweet coconutty aroma of this bread wafting in the air. Oh please! Now I’m drooling while writing this post. Geez! What are the benefits of coconut? Tropical gals like me are a huuuge fan of coconut! We love to incorporate anything coconut into what we eat like this Coconut Rice (which goes well with stews, by the way), Coconut Cake (mmm, one of my all-time fave), Coconut Jollof Rice (yep, this Jollof Rice 3.0)and Braised Chicken in Coconut Milk. Were you just hungry reading those? But did you know that coconut is considered as a “super fruit”? It can be consumed in various ways – coconut milk, coconut oil, coconut water, coconut flour and more. Coconut is rich in vitamins, minerals and calories. It also helps improve your body’s ability to absorb calcium and magnesium. That should convince you to add coconut more often to your diet. Can you bake with coconut flour? 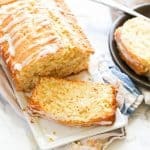 While this coconut bread recipe here is loaded with coconut goodness from the coconut milk, coconut extract and shredded coconut, however, it doesn’t have the presence of coconut flour. I used all-purpose flour instead for this recipe. But can you bake with coconut flour? Well, coconut flour is a tricky ingredient to bake with, especially when substituting in a recipe . It is made from the flesh of mature coconuts. Check how I made my own coconut flour at home. Since there is no milk and most of its oil have been removed, coconut flour doesn’t have a strong flavor contrary to what others would say. The very thing you need to know, though, is that coconut flour is high in fiber and requires a lot of liquid to use. Yes, you can bake using coconut flour, however, coconut flour should only replace 20% of the total flour in a recipe and the liquid should be increased as well by 20%. You can read here more tips on how to use coconut flour in baking in here. 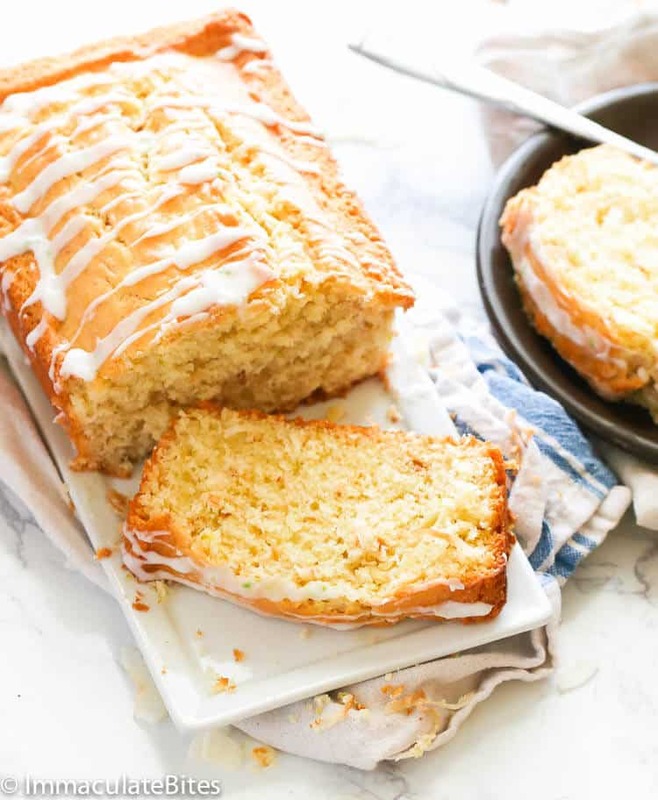 But if you decide to follow this coconut bread recipe to a “T”, I can guarantee you that you’ll be making this again and again for breakfast, snacks and even for entertaining. This is one of those baked treats that you can whip up easily when a guest is coming over on a short notice. So easy without compromising the taste! A great addition to your weekend baking list! You may replace all-purpose flour with coconut flour, HOWEVER, you can only substitute 1/4 cup coconut flour and increase the number of eggs. It is BEST to use tried and true coconut recipes when baking so as not to waste a considerable amount ingredients while experimenting. If you wish to use coconut flour, you can buy coconut flour in health food stores or search for organic coconut flour online and buy in bulk as they are quite expensive. You may replace coconut extract with vanilla extract. Watch the coconut flakes while you brown them as they burn quickly. You can do this part ahead of time. Make sure the bread has already cooled down before glazing and storing them. 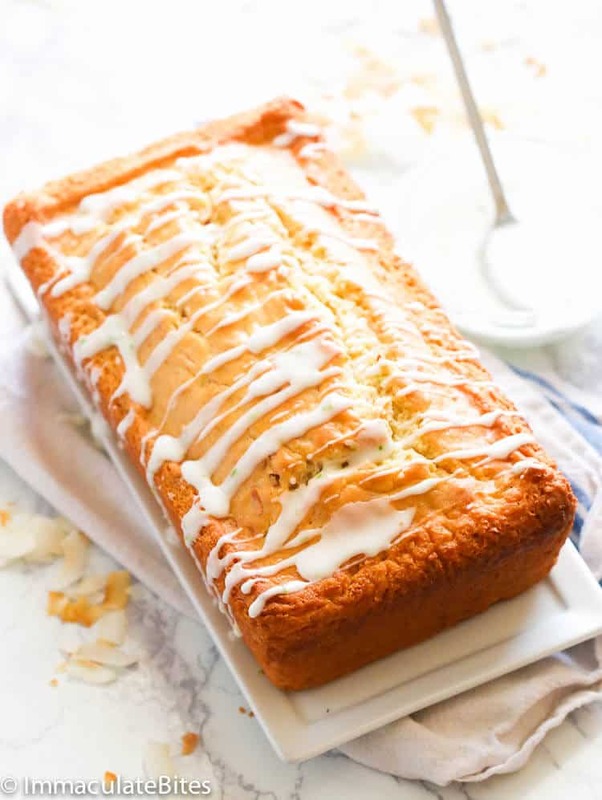 Coconut Bread - super easy and tasty bread loaded with coconut goodness from coconut milk, shredded coconut and coconut extract then topped with lime glaze for added citrusy sweetness. 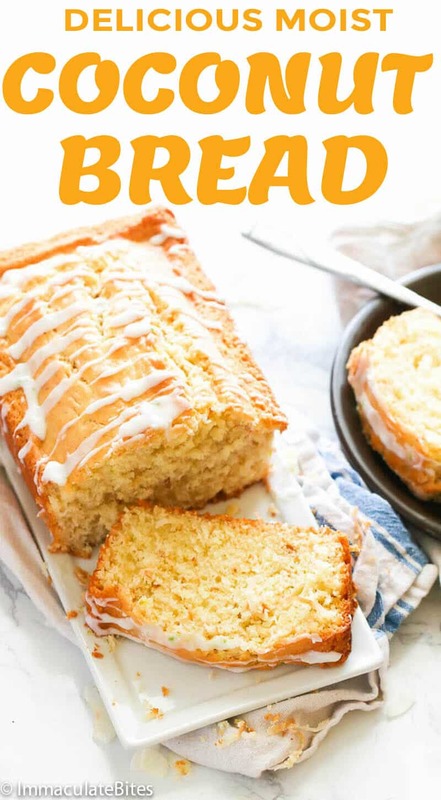 Perfect for breakfast or for afternoon snack time! No mixer required! Preheat oven to 325 degrees. Grease a loaf pan with baking spray and set aside. Bake coconut flakes in the oven on 300 F degrees for about 10 minutes until some parts turn brown. Be careful when browning coconut; they brown fairly quickly. Let it cool. This can be done a day ahead. In a Large bowl whisk together eggs, coconut milk, lime juice and vanilla extract. While in a small bowl, whisk together, flour, baking powder, salt, butter sugar and grated lime zest. Add wet ingredients to the whisked flour mixture a little at a time until fully combined. Stir in shredded coconut, scrape down sides. Pour batter into loaf pan, place on middle rack and bake for 50 -60 minutes. Remove and let it cool completely before using glaze. In a small pan, combine confectioners sugar and lemon juice; adjust with a teaspoon or more water as need to achieve desired consistency. Gently whisk until mixture is smooth, you may use a fork for this too! Adjust consistency of glaze as desired . It should be pourable and thick. Spoon the glaze over the top of the cake, letting it drizzle down the sides. Preheat oven to 325 degrees. Grease a loaf pan with baking spray and set aside. Bake coconut flakes in the oven on 300 F degrees for about 10 minutes until some parts turn brown. Be careful when browning coconut; they brown fairly quickly. Let it cool. This can be done a day ahead. In a Large bowl whisk together eggs, coconut milk, lime juice and vanilla extract. While in a small bowl, whisk together, flour, baking powder, salt, butter sugar and grated lime zest. In one of your comments, you stated that you can replace the butter with 1/2 oil. Will the oil by chance change the texture of the bread? Also, did you whisk the wet ingredients with a whisk or a hand mixer? I don’t own a hand mixer but I do have a whisk and I’m wanting to make this bread. Hi, you don’t need to use a mixer for this recipe. As for replacing the butter with oil, there’ll be a slight difference in texture and you’ll miss that buttery flavor in your cake. But it works fine still. I recently came across your blog and have loved the few recipes I have tried. Lots more to go! Thank you for the awesome recipes! In this recipe, do you use canned or carton coconut milk? I used carton coconut milk. I’m so happy that you are enjoying the recipes , and I thank you for letting me know. 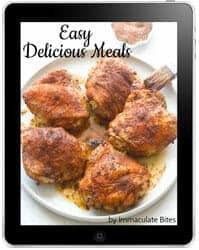 Why are your e-mails sent from “immaculate bites” but yet when you click on the link for a recipe, the website is shown as “africanbites”? I go by both names . Africanbites or Immaculatebites. Same site . Can the all purpose flour be replaced with white whole wheat flour? I haven’t tried this recipe with whole wheat yet. if I were to use whole wheat I would reduce the flour by 1/3 cup , since wheat flour is denser and heavier. So happy to hear this . Thank you so much for the feedback!!! Imma, Imma, Imma, how can you have kept this recipe from us for years??? Made it today and it is sooo good! Will be added to my breakfast baking repertoire, especially in the summer months. Thanks for finally letting us in on this secret. I love your recipes… Can you use Cake flour? So sorry for the late response. You can but it will alter the texture a bit. All purpose flour is best.